It’s not too late for a New Year’s resolution. You could start feeling great by starting to work out more and changing your diet to something more macro-friendly. Less ice cream, cakes, and other calorie-laden snacks and more fruits, vegetables, and good ole protein-packed meat. Well, you might not want to give up the former, but there are healthy alternatives, including protein shakes which come in a lot of delicious flavors [caramel, anyone? ], with minimal calories and almost no sugar. Protein supplements and shakes are always associated with buff men, despite the recent studies that show women benefit more from them than men. Marie Spano, RD, who is a certified strength and conditioning specialist, says that due to men’s natural protein rich diet, it is women who require more protein in their diet, something in which a protein supplement can help you with. 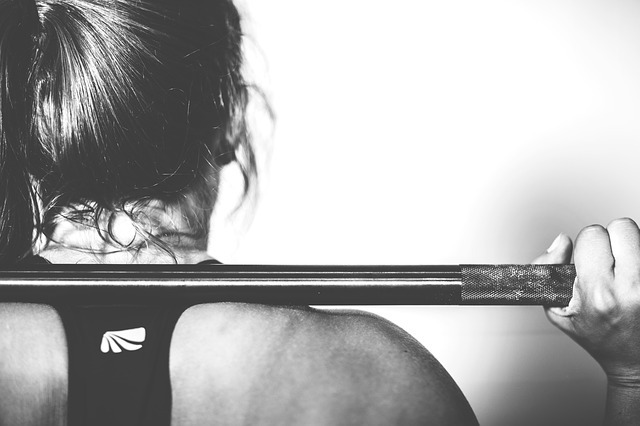 Despite the fact that the recommended protein intake for women is about 46 grams of protein per day, experts suggest that active women and those who seek to lose weight can benefit from an increased protein intake. The Academy of Nutrition and Dietetics established a 1.2 to 1.7 grams protein requirement for women, especially if they are athletes. That would be around 100 grams of protein for an average woman. Unfortunately, to be able to achieve this level of protein intake from natural food, you also have to consider the fat, sugar, and carbohydrates this food comes with. This is where a protein powder supplement comes in. Most protein powder supplements offer high protein but low calorie content, something even a skinless, steamed, bland chicken breast can’t really do. Also, most protein supplements offer just the right amount of protein, carbohydrates, and calories to help your body during workout. Here are tips that you might want to keep in mind to help you get the most out of your protein supplements. Take protein supplements through protein shakes. Despite the fact that you can take your protein supplement in a lot of ways, shakes still serves as the most versatile choice for many. You can take the shake everywhere, and you can add as little or as many ingredients you want. Want a post-workout snack? Just add fruits like bananas and berries to your smoothie to help with your recovery. If you prefer drinking the shake before the workout, just use flavored protein powder and don’t add anything else. This makes an easy to digest meal that’s light on the stomach. Use protein shakes as meal replacement. You could make a meal replacement by adding various nuts, seeds, fruits, vegetables, and yoghurt to your shake. This helps you cut down the number of calories your body consumes, compared to full meals. Whey protein is best; soy protein is next. Whey and soy protein are the only natural options available that provide all the essential amino acids. 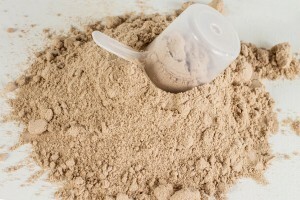 Whey protein is more effective when it comes to muscle building and is way cheaper. But vegetarians and vegans don’t fret, soy milk is just as effective, although it digests faster thus making you feel hungry faster. Consider the carbs and fat content of supplement. You should only choose protein supplements that contain less than 5 grams of carbohydrates and 2 grams of fat per serving. You should also avoid buying those that have unnecessary ingredients as added amino acids and fillers such as wheatgrass and fibers as these are often used as bulking agent, thus resulting to less protein content. Want to (seriously) start working your way to a healthy body? You can find a complete guide on protein powder at Supps R Us, an online fitness supplement provider.